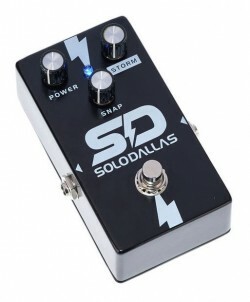 SoloDallas.com | STORM or SCHAFFER REPLICA CLASSIC? 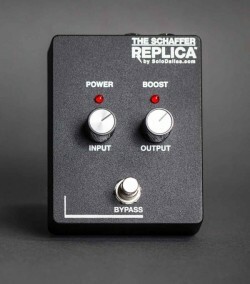 THE SCHAFFER REPLICA CLASSIC has been our flagship pedal since it was released back in 2014. The TSR pedal was first conceived as the ‘more affordable’ version of our original 2014 Schaffer Replica line – which consisted of the limited edition GOLD TAG (100 numbered units signed by Ken Schaffer) and the PEDAL VERSION itself. The circuit of both versions was exactly the same, except construction methods and components used (through hole vs. SMD). Tone-wise, the TSR Classic is characterized by a very strong midrange and extra headroom thanks to its 12v power supply. It has only two controls – the Input knob controls the TX10 transmitter circuit gain and the Output knob controls the 63EX receiver gain. The TSR Classic remains the same as the 2014 version. 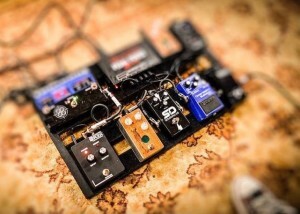 However, a few flaws of the original design were corrected since then – input and output jacks were reversed and arranged in right to left order to be more pedalboard compatible (like almost all other stompboxes in the market), and the circuit is now protected in case incorrect voltage/polarity power supplies are used. 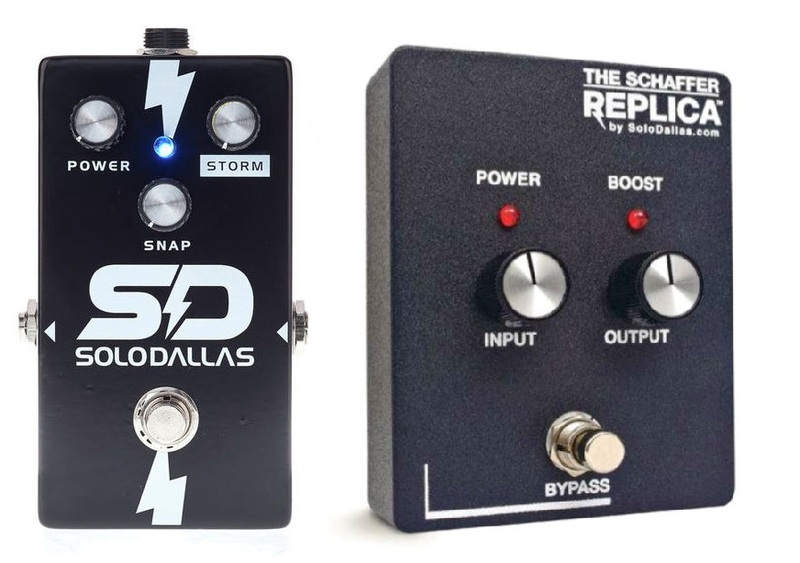 The STORM is from the same lineage as the original TSR pedal. In 2015, a new reverse-engineering of the SVDS was done and our discoveries were implemented in the all new 2016 product line – the Schaffer Replica EX Tower and the Storm. Like their predecessors, the Storm is the ‘more affordable’ version of the EX Tower. However, the Storm was designed to be as user friendly as possible. It can be powered by 9v battery (which the TSR pedal could not) and also can be used with any good quality standard 9v power supply. It is housed in a smaller metal enclosure, so it saves a lot of pedalboard real estate. Tone-wise, the STORM has a slightly flatter EQ response, which is actually more accurate to the original Schaffer-Vega sound. The Power knob controls the TX10 transmitter gain and the Storm knob controls the EX63 receiver gain. The real advantage of the Storm, though, is the Snap knob, The snap controls the optical limiter, which is a component found in the TX10 transmitter that we (sadly) overlooked previously. This feature alone makes the Storm pedal a lot more versatile – turning the snap control up will make your guitar respond quicker and ‘bloom’. Turning it down will make the sound a bit looser and some internal clipping (good clipping) will happen depending on how you set the other controls. Some users still love the stronger midrange of the TSR Classic (including us). Because it is powered by 12v, the extra headroom definitely is there – a very powerful boost. It is still a great product, so we will keep manufacturing it. The Storm, however, is closer in design and sound to the actual Schaffer-Vega Diversity System and people who want more authenticity might prefer it. 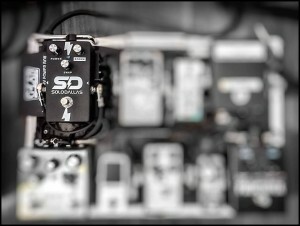 The Storm also might have the edge for people who need a standard, user-friendly pedal, and it also wins in the versatility department. Additionally, the Storm is a little more affordable! I still don’t know what to choose. Like Fil, i am chasing the AC/DC Back in Black tone. So Fil if you’re reading this, please tell me which one is best. So if i’m correct the Storm is closer to what Angus used than the Classic? The extra midrange on the Classic at what frequenzie is it? I mean is it high or low mid?